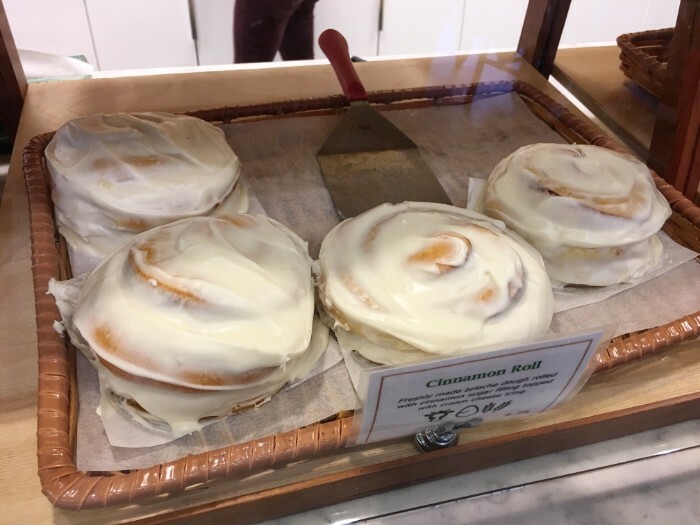 Love breakfast? The Agenda does too. 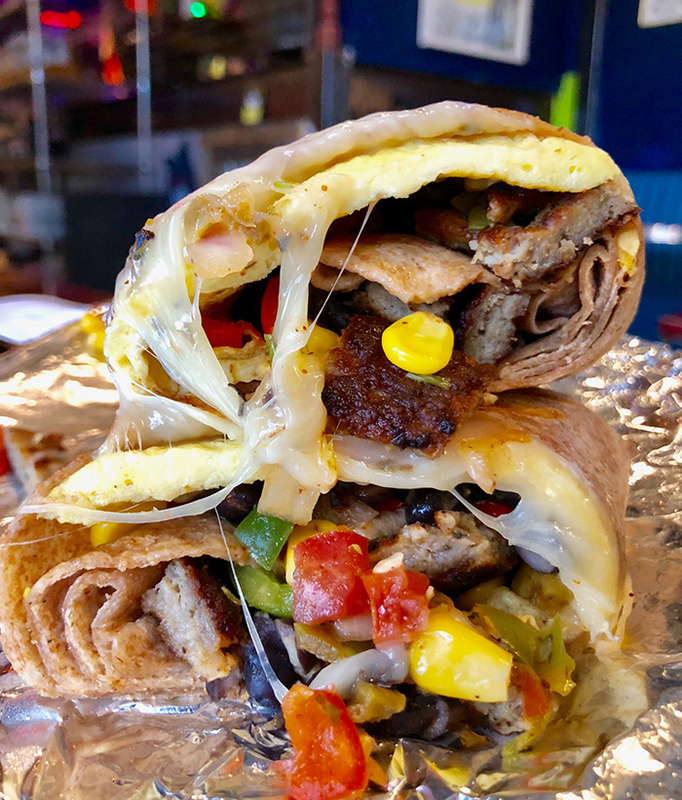 Here’s a list of the best breakfast spots in Charlotte and what to order from each. Southern-style breakfast spot with lines out the door on the weekend. Must order: The ‘Award Winning Shrimp and Grits’ or the ‘Heavenly French Toast’ if you’re craving something sweet. Casual, no-frills breakfast place loved by locals. Locations: Uptown – 330 S. Tryon Street, Dilworth – 2400 Park Road, University City – 8933 JM Keynes Drive Suite 2, Ballantyne – 8430 Rea Road. They have 10 additional locations in the surrounding Charlotte area. Find the closest to you. 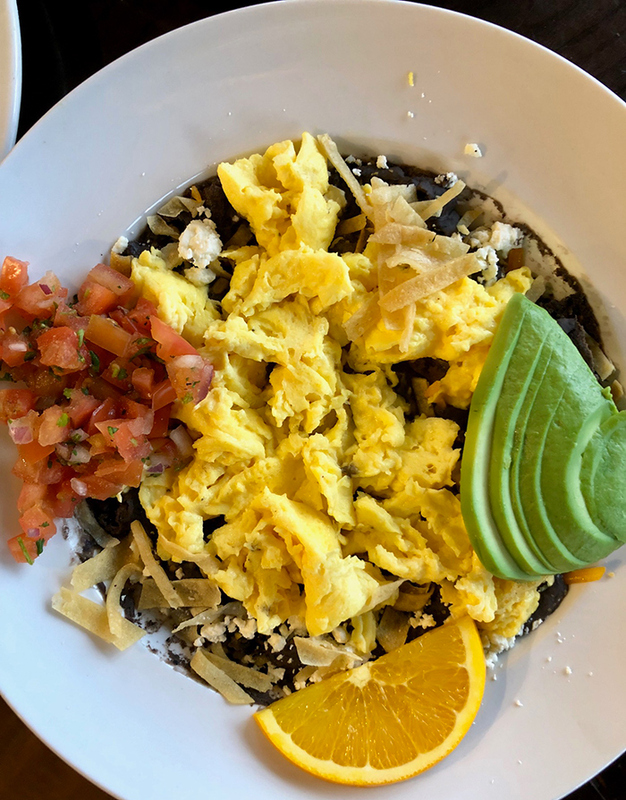 Must order: Huevos Rancheros ($10.99) – Two eggs any style served over black beans, cheddar & feta cheese, with crispy tortilla strips, topped with cilantro, pico de gallo and avocado slices. 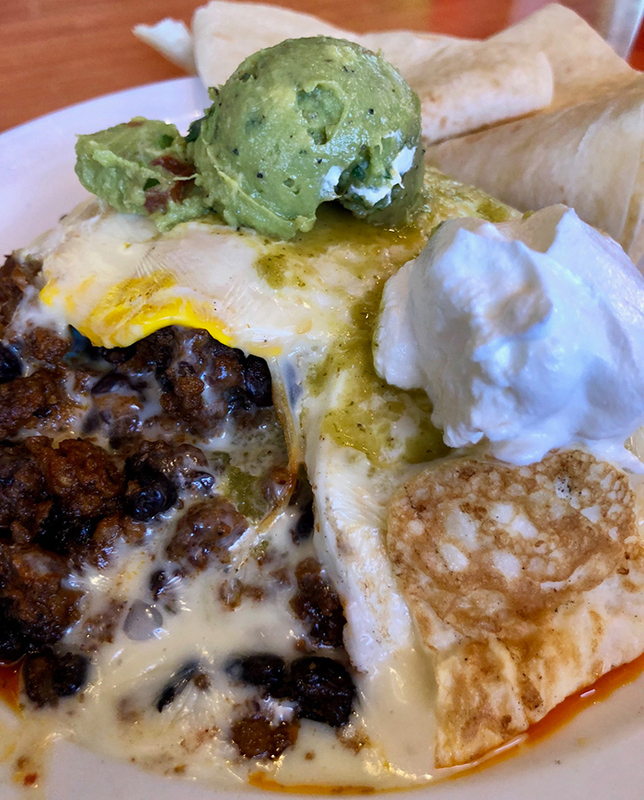 Other noteworthy Toast breakfast items include their avocado benny, burrito with homemade salsa and stuffed french toast. 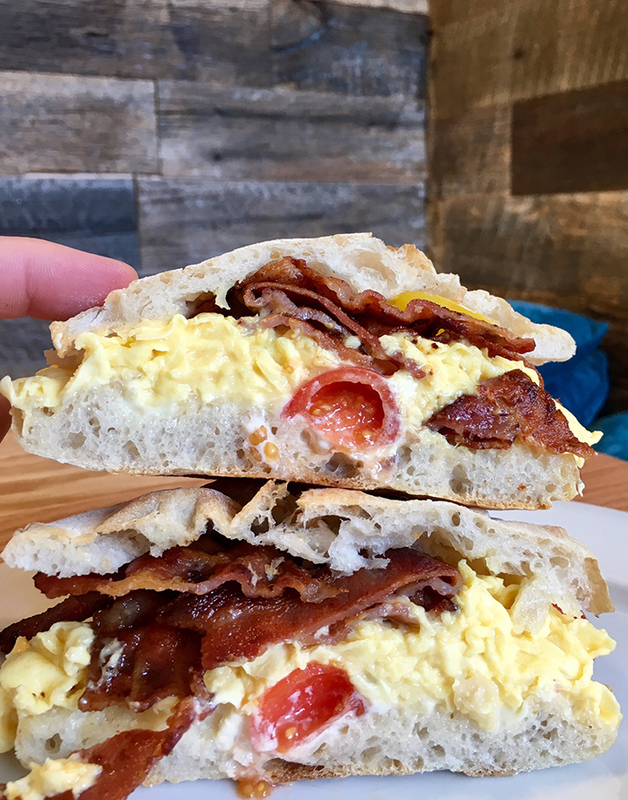 Cozy bakery serving up coffee, pastries and breakfast sandwiches. 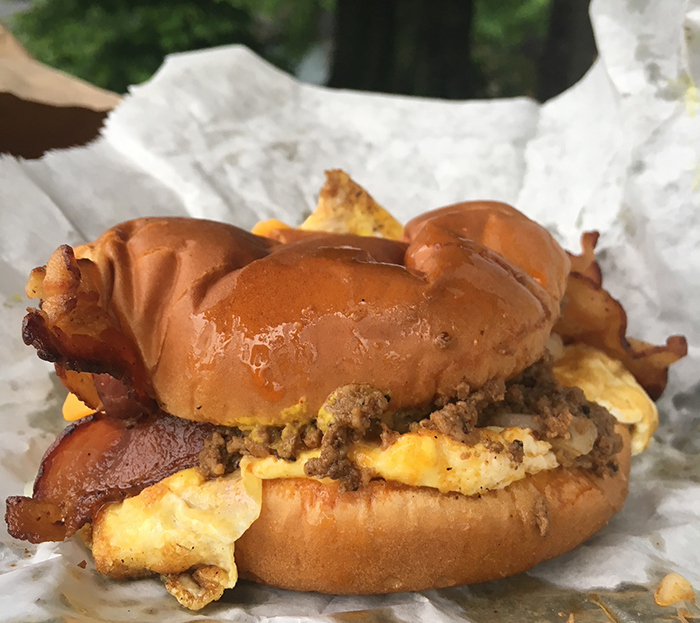 Must order: A bacon, egg and cheese sandwich on one of their cheddar biscuits ($6.75). 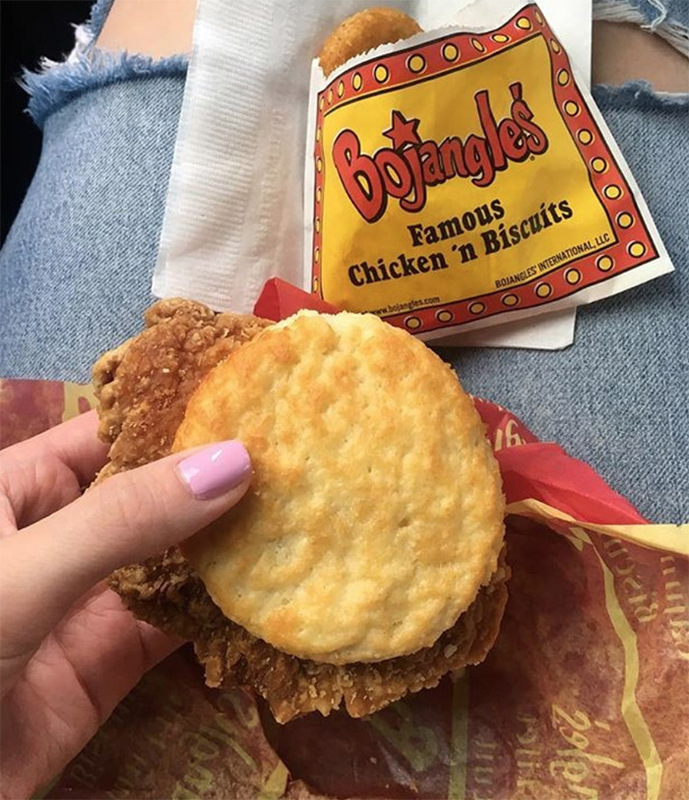 A modern fast casual eatery famous for their signature southern biscuit combinations. Cute neighborhood brunch spot with farm fresh fare and a sense of humor. Plaza Midwood cafe offering local, organic menu items and a funky vibe. 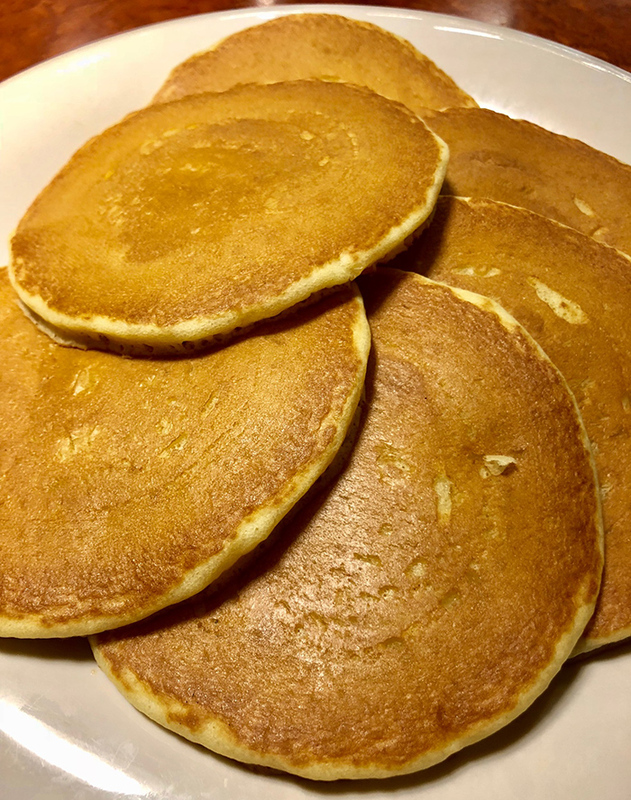 A casual breakfast joint specializing in stacks of fluffy pancakes. Must order: The apple pancake, oven baked with fresh granny smith apples and pure Sinkiang cinnamon glaze. 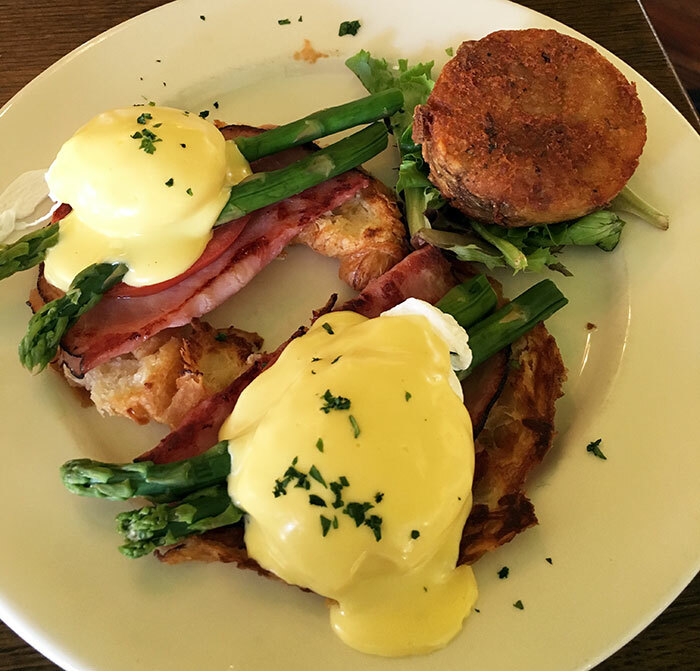 A charming French bistro offering mouthwatering egg benedicts, crepes and beignets. 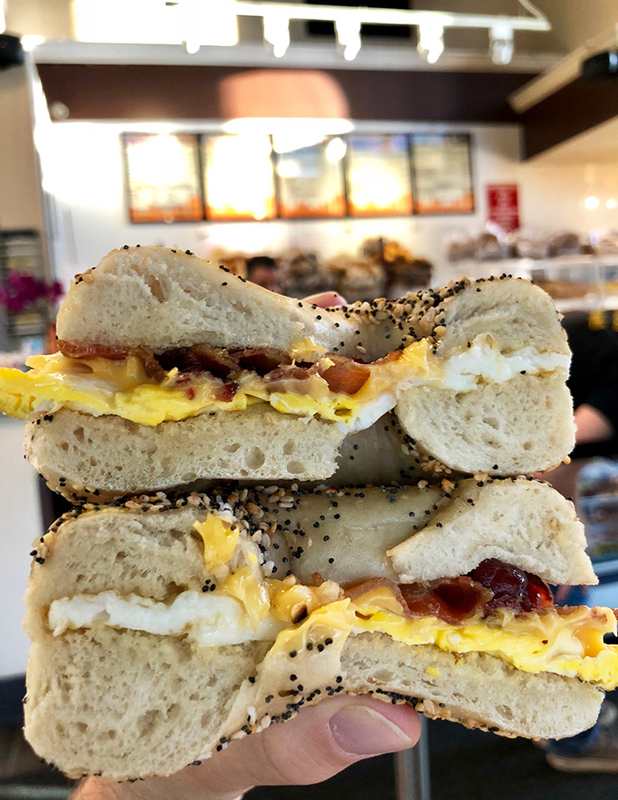 Small breakfast joint serving up New York-style bagels and cream cheese. South End steamed bagel joint with lines out the door on weekends. Casual breakfast and brunch spot offering Southern cuisine with a twist. 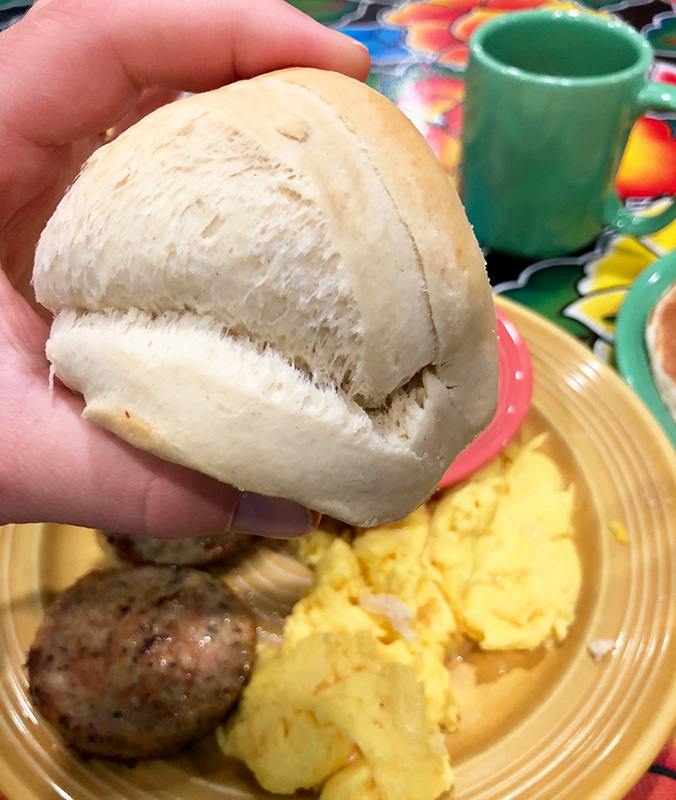 Scratch-made biscuits and crispy chicken served hot and fast, a Charlotte staple since 1977. Locations: They have tons around Charlotte. Find the closest one. 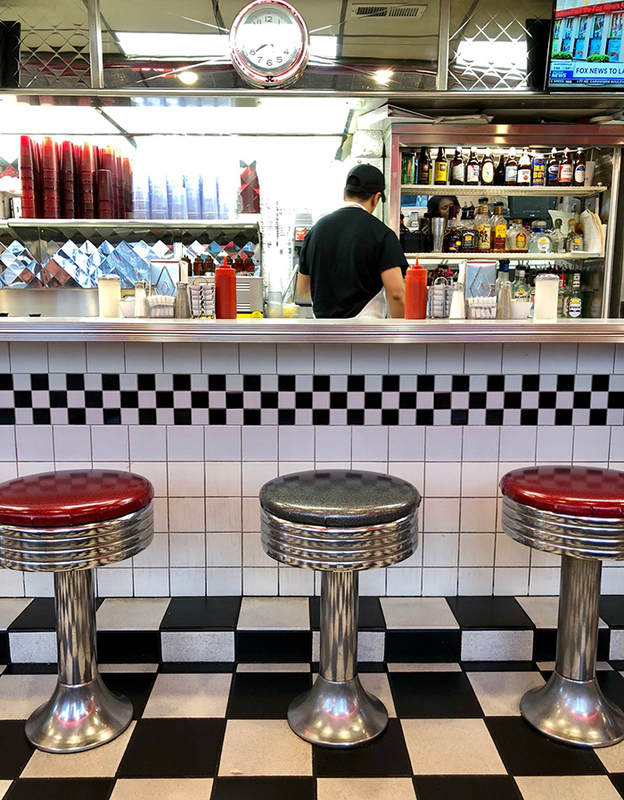 Classic, shiny 1950s-style diner open 24/7 with all your southern faves. A neighborhood coffee shop with artisan lattes and homemade breakfast items. 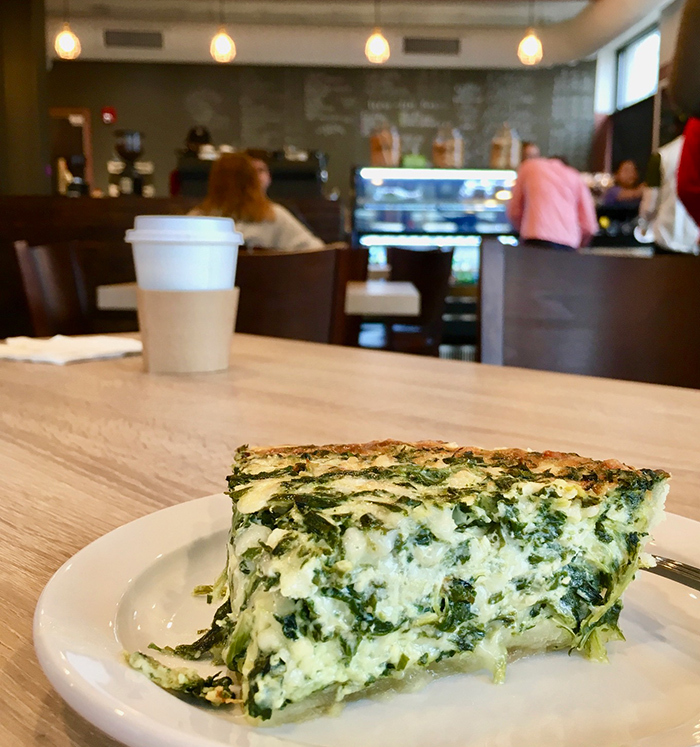 Must order: One of their scratch-made quiches and a dirty chai latte. 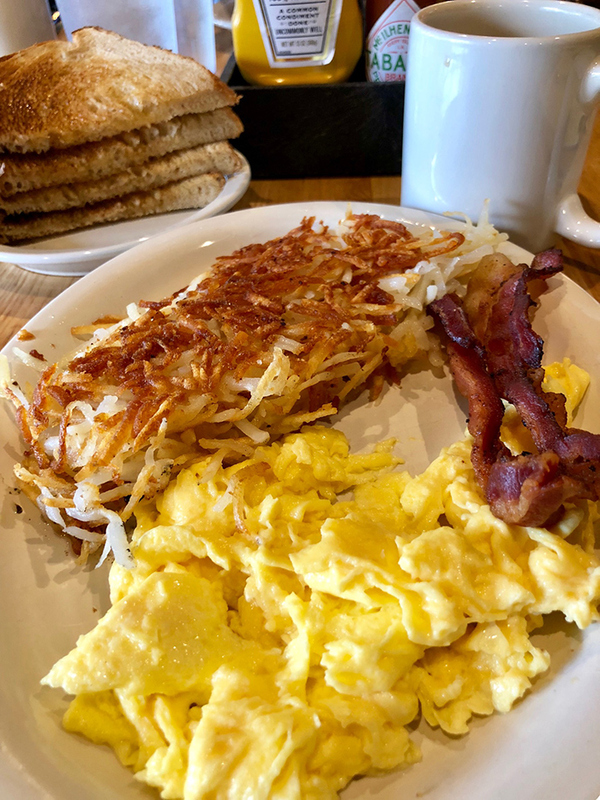 No-fuss eatery that serves breakfast all day long. A bright, airy vegetarian oasis with organic fare and cold pressed juices. 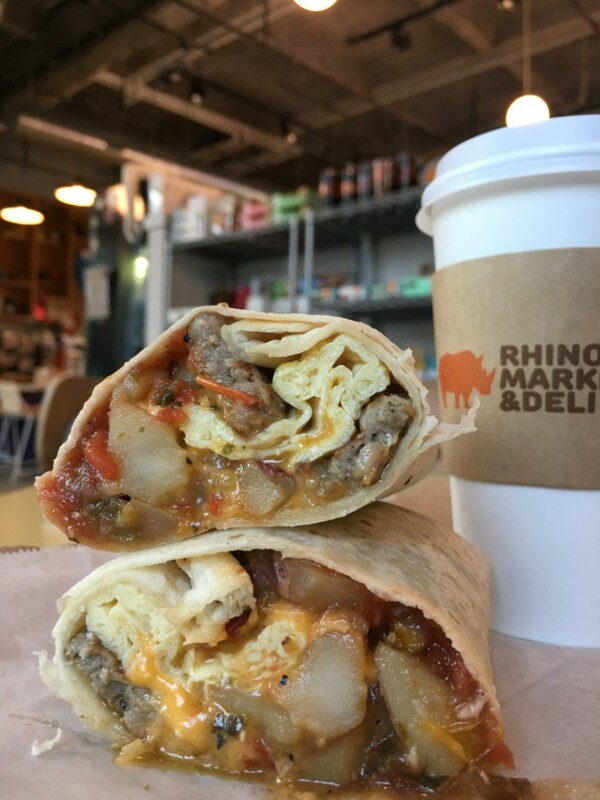 Gourmet market with breakfast items exclusively available at the Uptown location. 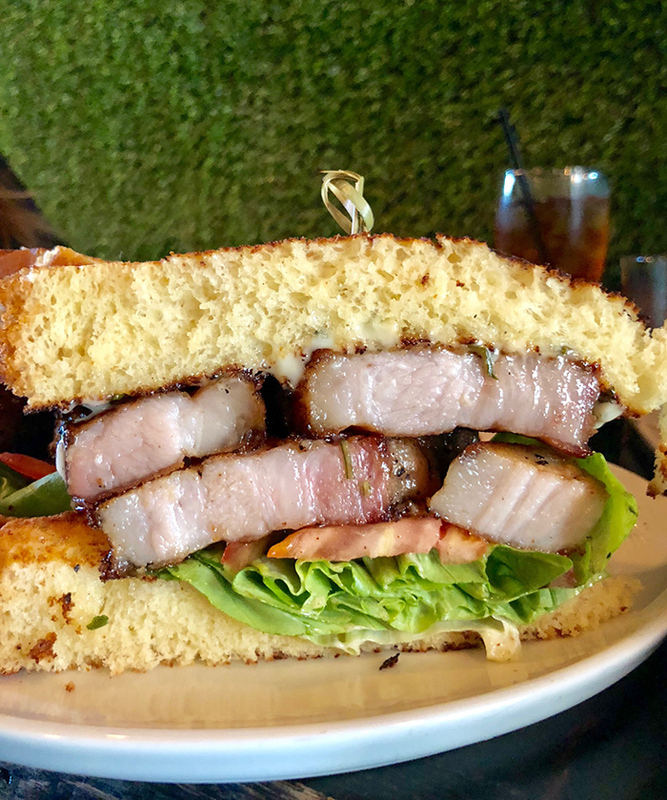 Southern kitchen and cocktail bar with weekday brunch. 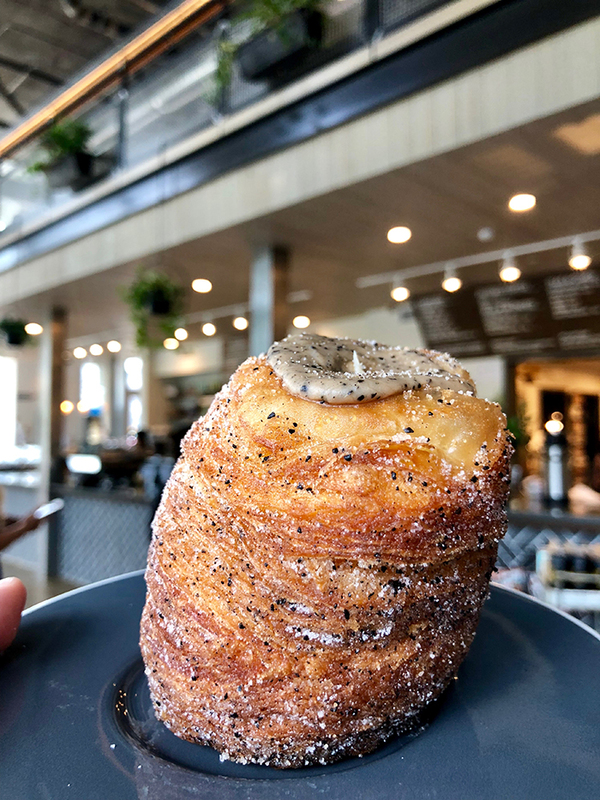 Popular restaurant and bakery serving artisanal bread, pastries and mouthwatering breakfast sandwiches. 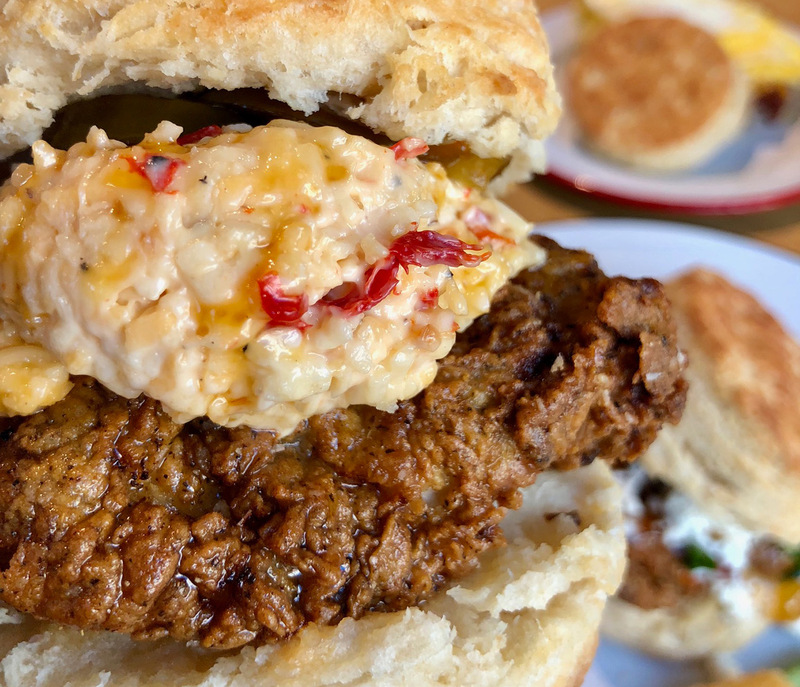 Southern comfort food with a creative twist. 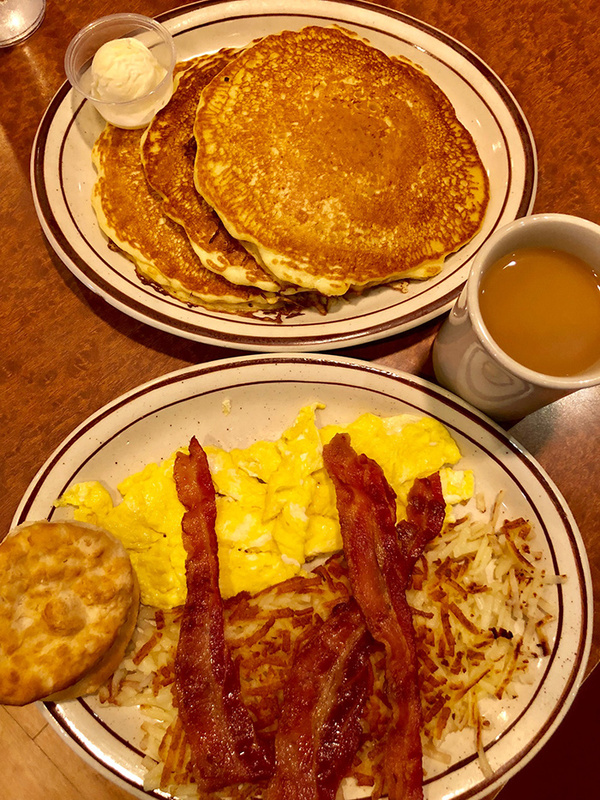 No-frills, old school family spot with breakfast specials offered daily. Tiny roadside sandwich shop with a walk-up window. Brewery, coffee bar and culinary cafe with expansive outdoor seating and coffee cocktails. 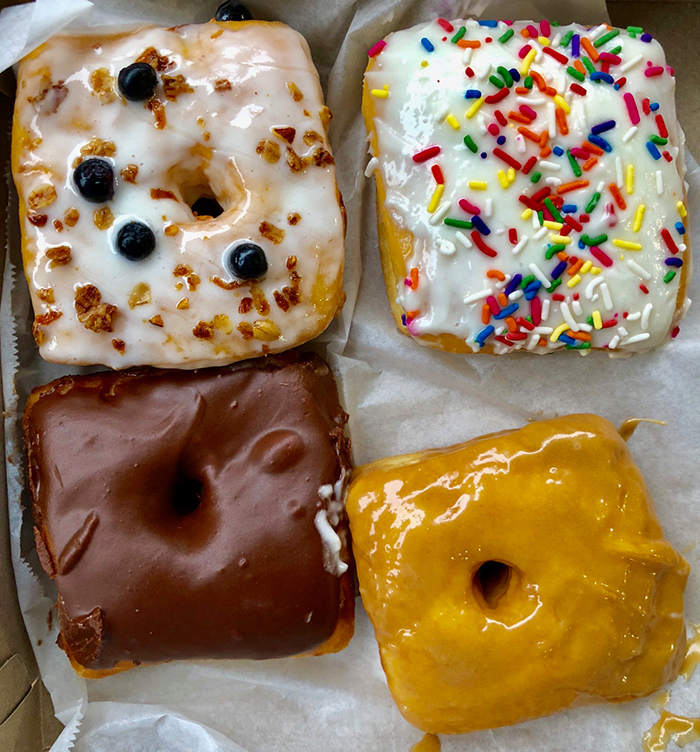 Cute donut shop with unique flavored, made-to-order donuts. 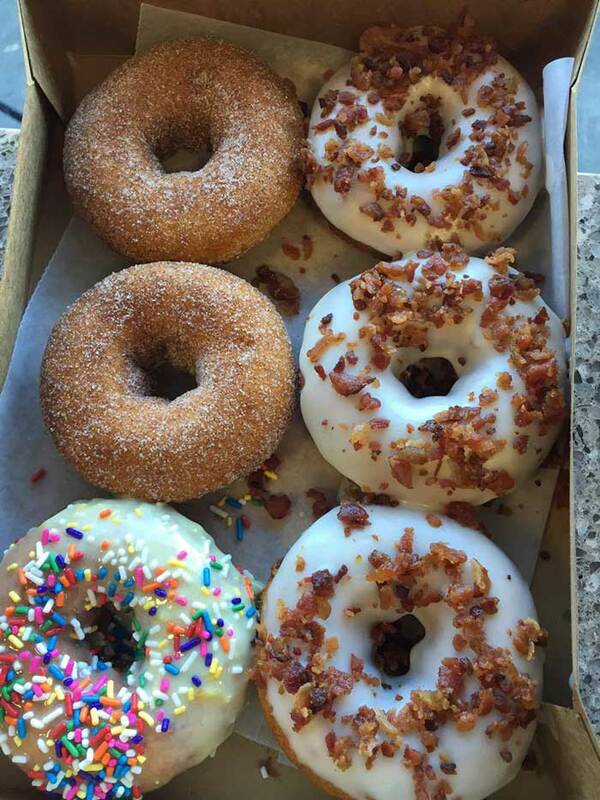 Craft donut shop with 12-15 different flavors available daily. 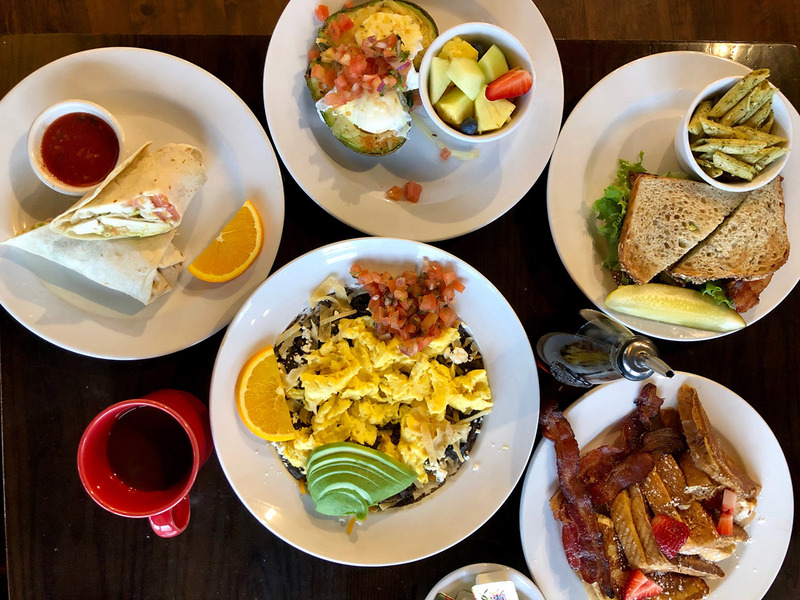 Casual cafe with scratch-made breakfast favorites and seasonal offerings. 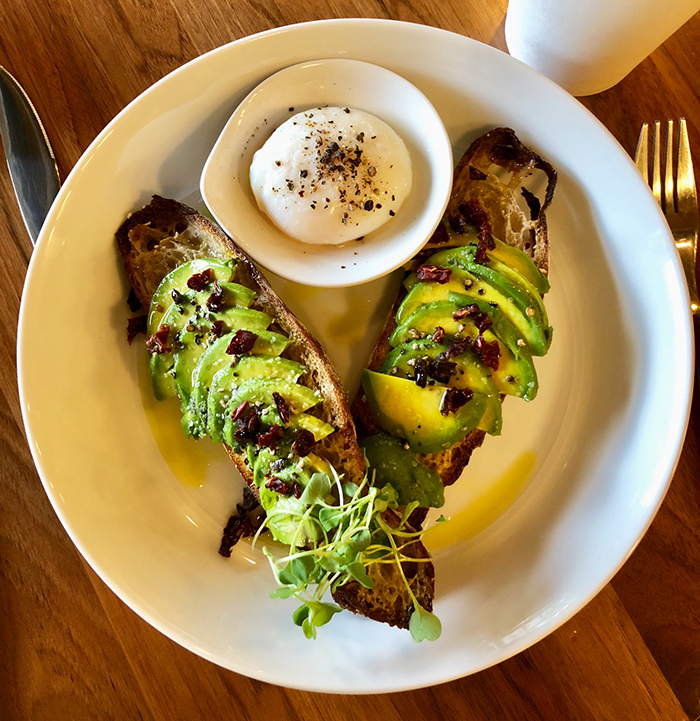 Must order: The BLT Benedict – Two poached cage-free eggs atop toasted ciabatta with bacon, vine-ripened tomato, avocado and lemon-dressed arugula and covered with hollandaise. Served with lightly dressed organic mixed greens. 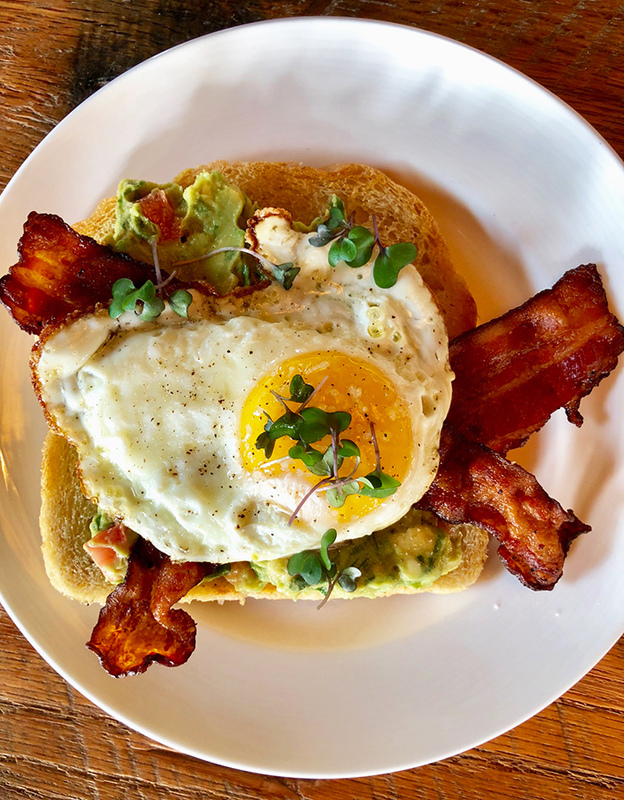 Neighborhood spot for food, drinks, work and play – oh, and breakfast is served all day. 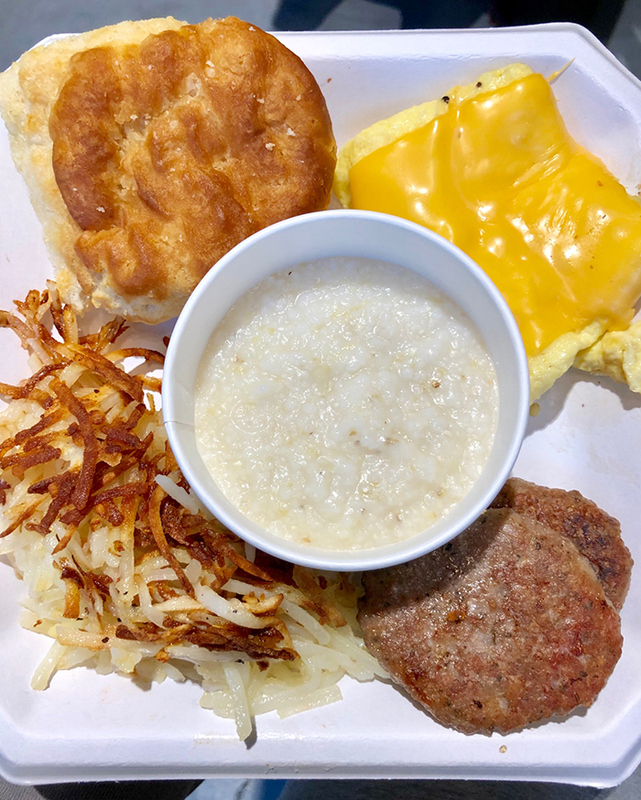 Must order: People’s Breakfast Platter – Two eggs, hash browns, grits, biscuit or toasted english muffin and choice of three slices of bacon or two sausage patties. 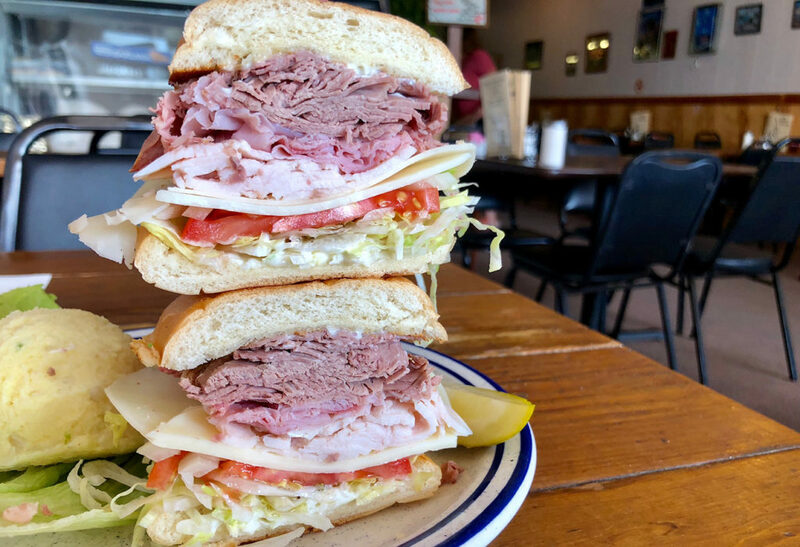 The OG South End sandwich shop and market is back and bigger than ever. Quirky artisanal market with sandwiches and specialty coffee drinks.